His floppy, relaxed good nature gives the Ragdoll his name. 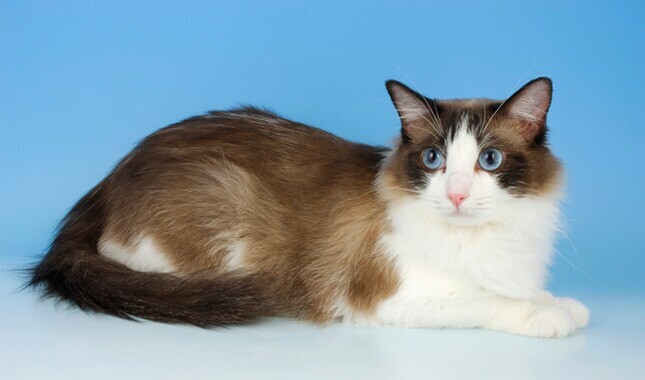 He is a big, gentle cat with striking blue eyes who can get along with everyone, including other animals, traits that make him adaptable to almost any home. His semi-longhaired coat, which comes in a variety of patterns and colors, is easy to groom. The Ragdoll loves to be cuddled and is much more accepting than many cats of being carried around in his owner’s arms. 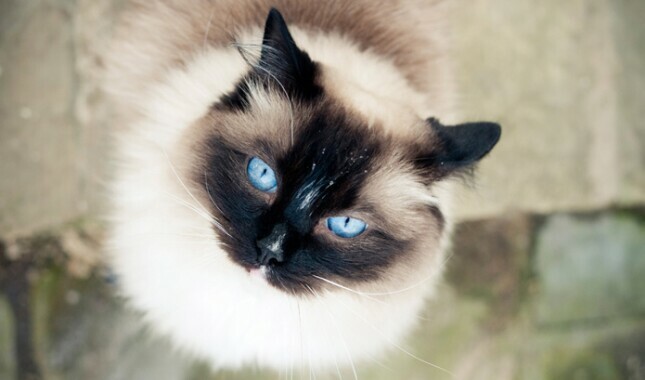 The Ragdoll gazes up at you with beautiful baby blues, eager to follow wherever you go. He’s a friendly cat who will greet you happily at the door, play fetch and sleep with you at night. Sturdy and tolerant, he can be a child’s best friend, willing to be dressed up in doll clothes and pushed around in a baby buggy. Just make sure your child doesn’t take advantage of his good nature. The laidback Ragdoll can even get along well with dogs and, like them, can learn to walk on a leash. He’s a great choice if you travel frequently and would like to bring a feline companion along. 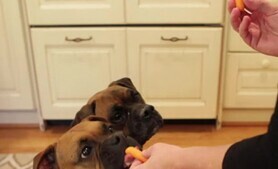 Ragdolls love people, including kids, and can get along well with dogs. Ragdolls are big cats, weighing up to 20 pounds. They need to be supported with both hands when they’re being held. Ragdolls can live to be 12 to 15 years or more. The Ragdoll breed is not quite 50 years old. The cats were created in California in 1963. Breeder Ann Baker wanted to develop a beautiful cat with a loving, gentle personality, and she started with domestic longhairs of unknown ancestry. Josephine, the foundation cat, was white with Siamese-type markings, and in her genes she carried a seal mitted or black tuxedo pattern. 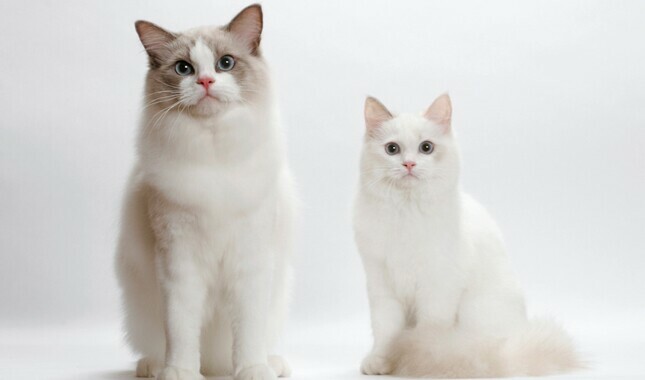 The Ragdolls of today descend from Josephine and her son, Daddy Warbucks, as well as other unknown domestic longhair males. The Cat Fanciers Association began registering Ragdolls in 1993, and they achieved championship status in 2000. Today Ragdolls are the fifth most popular breed registered by CFA. Ragdolls are sometimes nicknamed “puppycats” because of the way they follow their people from room to room. Not even the bathroom offers privacy from one of these gentle lovebugs. 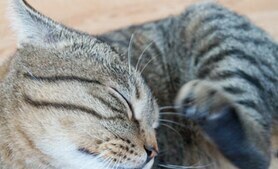 Unlike many cats, their preferred position is not on high but one that provides human contact: on the floor lying on your feet, at your side on the sofa or, ideally, in your lap. Not for this cat the curtain-climbing shenanigans or boisterous games of chase of other breeds. 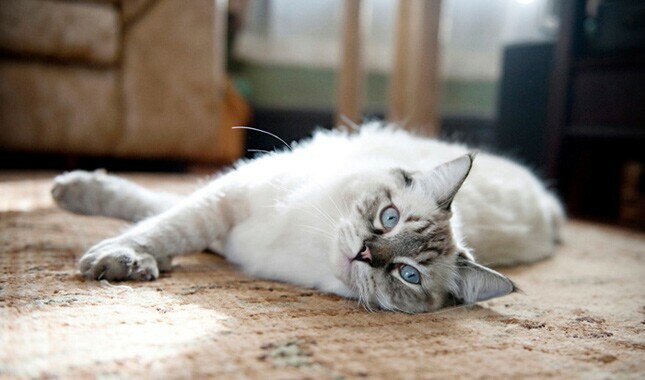 Ragdolls have a moderate energy level and a laidback demeanor. These are the cats you’ll see being dressed up in baby clothes and pushed around in a baby buggy by the kids. They are not loud, communicating in a voice described as soft and musical. The Ragdoll keeps his kittenlike playfulness into adulthood and old age. He enjoys a good game of fetch and may be willing to learn to walk on a leash. 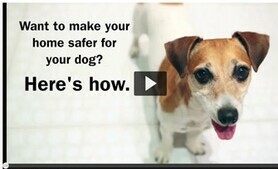 He should live safely indoors where he is protected from disease and cars. All cats have the potential to develop genetic health problems, just as all people have the potential to inherit a particular disease. Any breeder who claims that her breed or lines has no health or genetic problems is either lying or is not knowledgeable about the breed. Run, don’t walk, from any breeder who does not offer a health guarantee on kittens, who tells you that the breed is 100 percent healthy and has no known problems, or who tells you that her kittens are isolated from the main part of the household for health reasons. 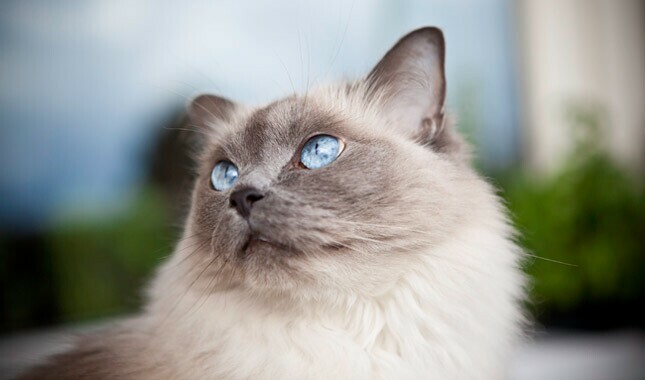 Ragdolls are generally healthy, but bladder stones and a heart condition known as hypertrophic cardiomyopathy are among the conditions that have been reported in the breed. 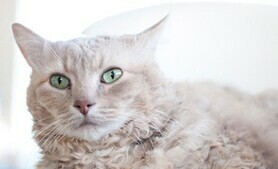 Hypertrophic cardiomyopathy (HCM) is the most common form of heart disease in cats. It causes thickening (hypertrophy) of the heart muscle. An echocardiogram can confirm whether a cat has HCM. Researchers have identified the genetic mutation that causes the development of HCM in the Ragdoll and have developed a genetic test that allows breeders to screen cats before breeding them. 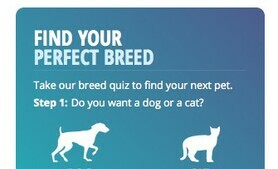 Cats identified with HCM should be removed from breeding programs. 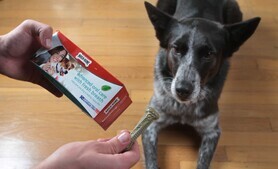 Avoid breeders who claim to have HCM-free lines. No one can guarantee that their cats will never develop HCM. Ragdoll kittens can have rapid growth spurts and it’s important for them to have plenty of food available all the time. If your Ragdoll kitten cleans his plate, offer him a little more until he stops eating. Once the cat reaches his full size at four years, then you can ration his food so he doesn’t get fat. 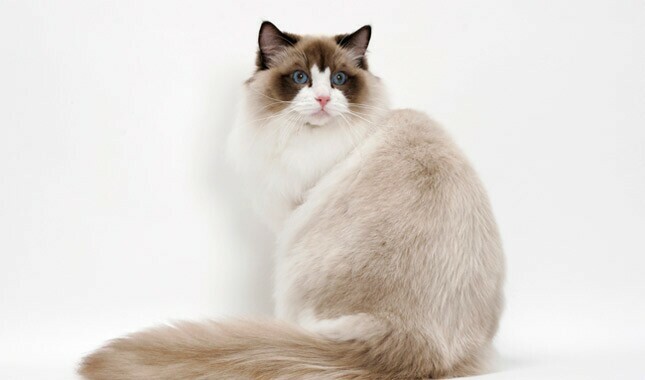 The Ragdoll has a medium-long silky coat with a soft texture that is easy to groom. Use a stainless steel comb to groom it once or twice a week to prevent or remove any mats or tangles. Be gentle, and with his accepting personality, he’ll enjoy the special attention. Like all cats, the Ragdoll’s coat sheds, but not excessively. The only other grooming he requires is regular nail trimming and ear cleaning. Trim the nails as needed, usually every 10 days to two weeks. Cats can be prone to periodontal disease, so it’s important to brush their teeth at home with a vet-approved pet toothpaste and schedule veterinary cleanings as needed. You want your Ragdoll to be happy and healthy so you can enjoy your time with him, so do your homework before you bring him home. 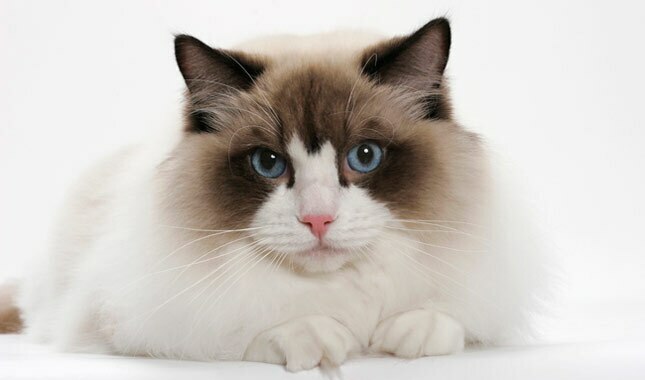 For more information on the history, personality and looks of the Ragdoll, as well as breeder recommendations, visit the websites of the Ragdoll Fanciers Club International, Cat Fanciers Association, the Fanciers Breeder Referral List, The International Cat Association and American Cat Fanciers Association. Be patient. 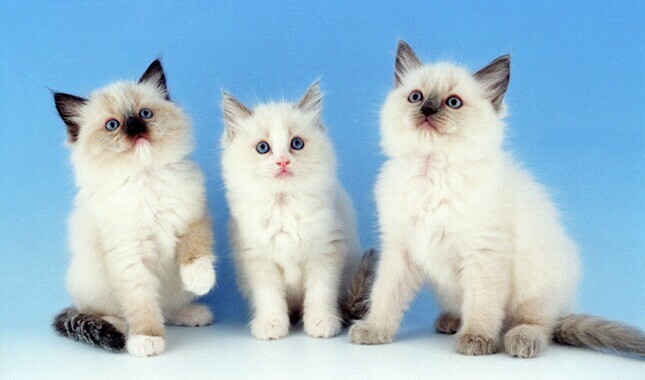 Ragdolls are popular and most breeders have waiting lists, even for pet-quality kittens. If you have your heart set on a kitten in a particular color or pattern, you may have to wait six months or more for one to be available. Many breeders won’t release kittens to new homes until they are between 12 and 16 weeks of age. Before you buy a kitten, consider whether an adult Ragdoll might be a better choice for your lifestyle. Kittens are loads of fun, but they can also be a lot of work. 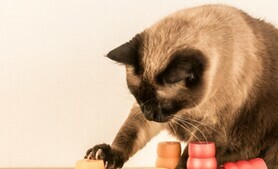 With an adult cat, you know more about what you’re getting in terms of personality and health. If you are interested in acquiring an adult cat instead of a kitten, ask breeders about purchasing a retired show or breeding cat or if they know of an adult cat who needs a new home. A breeder is not your only option for acquiring a Ragdoll. 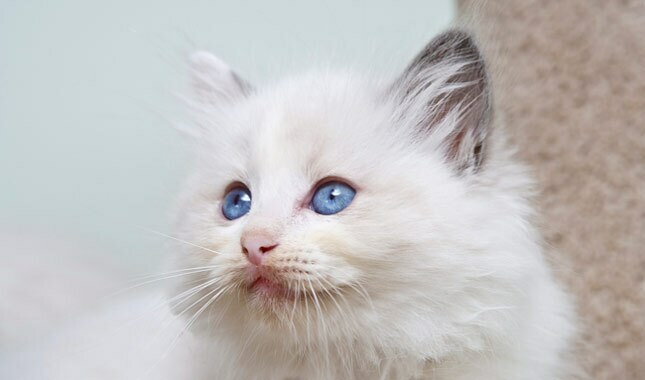 Although Ragdoll kittens are almost never found in shelters and rescue, adult Ragdolls, both pedigreed and mixed, are not always so fortunate. You may find the perfect Ragdoll for your family through Ragdoll Cat Breed Rescues or by checking your local shelters or the listings on Petfinder or Adopt-a-Pet.com. Wherever you acquire your Ragdoll, make sure you have a good contract with the seller, shelter or rescue group that spells out responsibilities on both sides. In states with pet "lemon laws,” be sure you and the person you get the cat from both understand your rights and recourses. Kitten or adult, take your Ragdoll to your veterinarian soon after adoption. Your veterinarian will be able to spot problems, and will work with you to set up a preventive regimen that will help you avoid many health issues.